Here’s the second part of my live round-up from day 4 of the 2016 Wimbledon Championships. 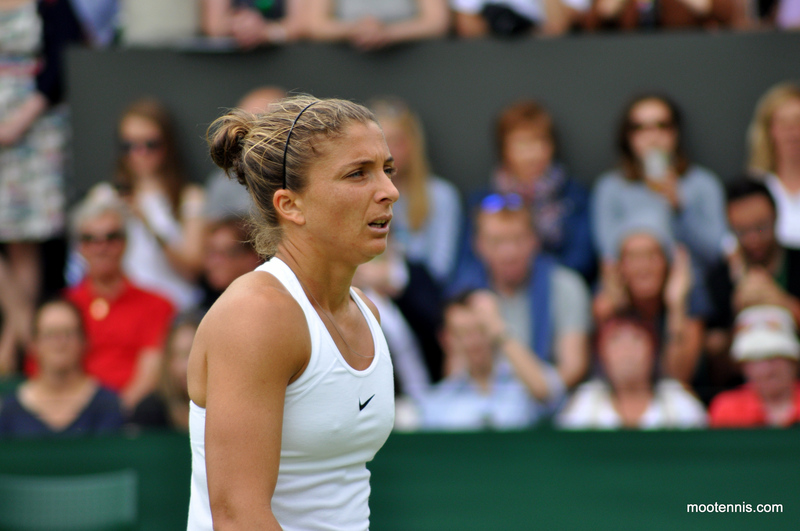 For the first part covering wins for Lucie Safarova and Timea Bacsinszky, click HERE. I had an amazing day (thanks to big bro for taking me!) and this part recaps some of the women’s matches that I watched on court 2 and the outside courts. Hopefully i’ll have some times for regular previews on Friday and a Set Points article tonight. I’m loving Friday’s schedule of play :-). Tennis Twitter was most upset that Sara Errani v Alizé Cornet aka “why you say vamos” wasn’t streamed. There was so much good tennis on the schedule that unfortunately I didn’t get to see much of it. My plan was to go over for third set but it never happened. Cornet beat Errani, 7-6(4) 7-5 in two hours and 19 minutes. I watched Errani’s first service game which lasted about ten minutes! She had quite a few failed ball toss attempts. 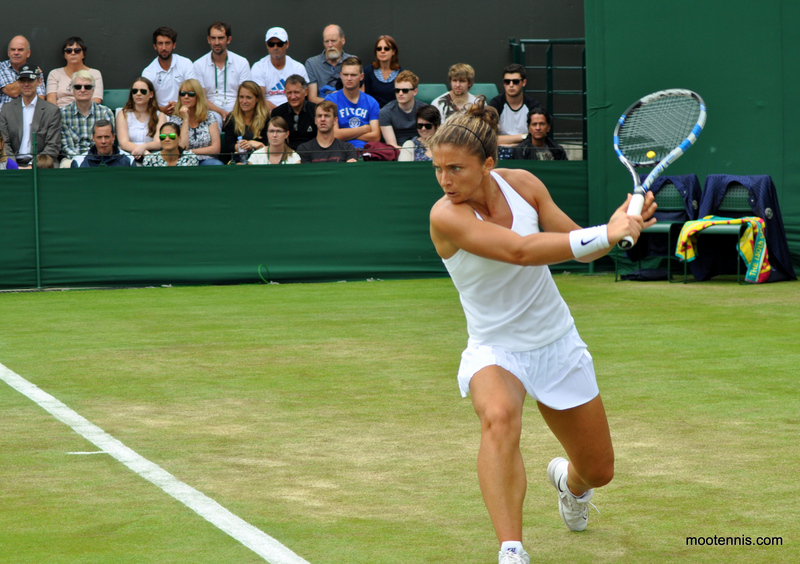 There were some superb points just in this one game with Errani coming forward to the net on multiple occasions. You really get a sense of how good the rest of Sara’s game is. We returned to peek through a big crowd of people to see Cornet win. It was a good handshake (see Sara’s tweet below) and Cornet was understandably delighted and animated. I loved how both players addressed what happened in their last match and could laugh about it now. While my brother tried to get a glimpse of the match on court 7 between Madison Keys and Kirsten Flipkens, I saw the end of Kiki Bertens v Mona Barthel which had comparatively fewer people watching. Bertens led 6-4 *5-2, but threw in a pair of shaky games to get pegged back to *5-4. 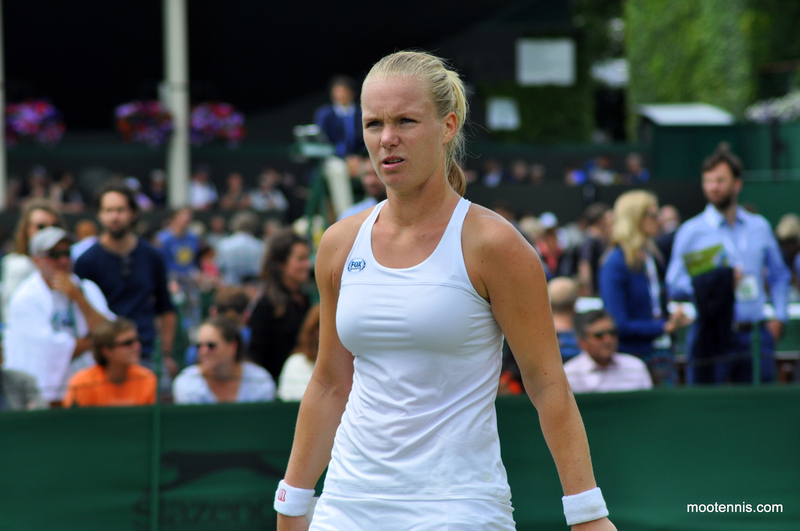 Bertens closed out the match at the second time of asking to win, 6-4 6-4. 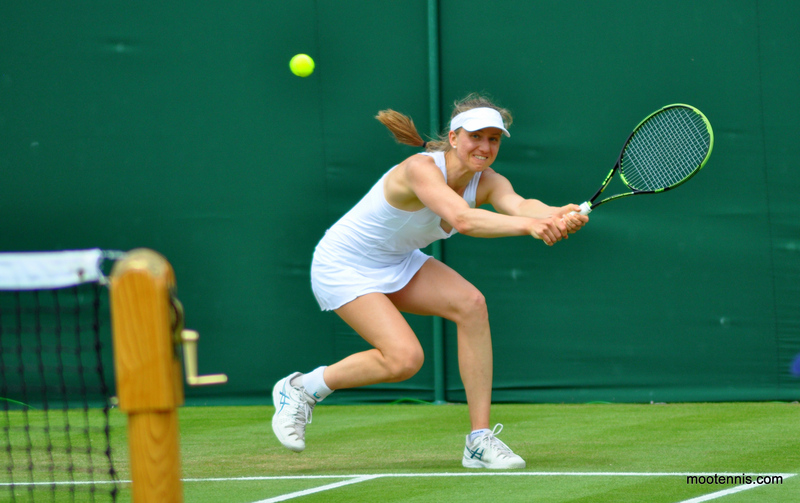 Barthel had led the head-to-head, 9-2 so it showed how Kiki’s form really is on the up. Mona’s still coming back from the virus though and I was just happy to see her back playing competitively again. I then joined the Keys-Flipkens match for the start of the third set after Flipkens had levelled the match. I saw Pam Shriver with her microphone doing a live broadcast for ESPN, which was interesting. The first game of the third set proved to be a pivotal one as a frustrated Keys managed to save two break points to hold. Flipkens was pissed and bounced her racquet. She knew what an opportunity it was on the Keys’s serve so it wasn’t a great surprise to check the scoreboard later to see Keys was 5-0 up in the third set. The American didn’t serve it out at the first opportunity but eventually sealed the win, 6-4 4-6 6-3. Next it was over to our seats on court 2 for the first time to catch the end of Simona Halep v Francesca Schiavone. I keep missing Simona every year so I was very pleased to finally see her play and get some photos! There were a couple of crazy points, one where Halep did this swivel shot at the net (can’t even explain it!) which she nearly won. On the whole, I thought Halep looked superb. She made very few errors and was constructing the points smartly against Schiavone. It began to rain at the end but Halep didn’t lose her composure and finished off the match confidently, 6-1 6-1 in 65 minutes. I did stay to watch the first set of Bernard Tomic v Radu Albot which wasn’t bad. Albot was the better player in the first set, flying through his service games but Tomic prevailed in the tiebreak. The Aussie looks so casual sometimes but he can unleash some real power. Next we went over to watch some of Caroline Garcia v Katerina Siniakova, which had just started a second set. Garcia was getting a pissed at the umpire, Mo Lahyani on some of the calls. The rallies were high-octane and fun to watch. 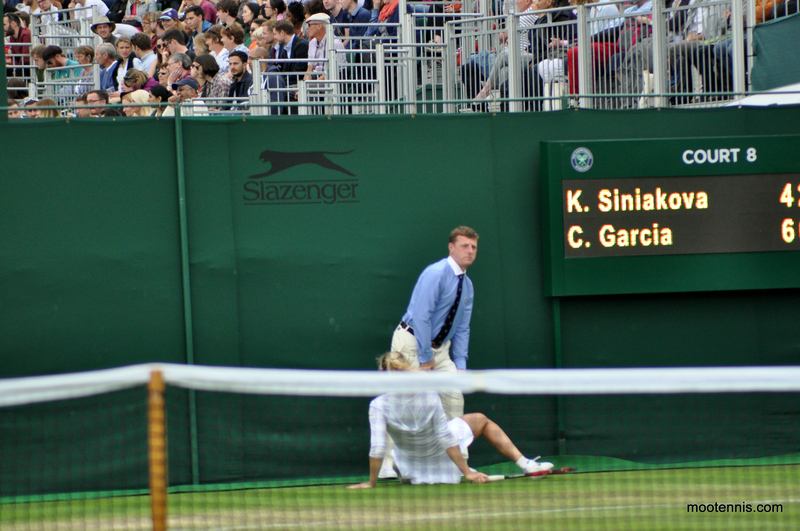 Siniakova took an almighty tumble at one point. Garcia walked up to the net and Lahyani got out of his chair but she was fine thankfully. Siniakova came roaring back in the end to win, 4-6 6-4 6-1. I LOVE taking photos of Siniakova, I can’t wait to watch her live again soon. After watching Lucie’s match, we headed over to court 18 for the first time to watch the first set of Dominika Cibulkova v Daria Gavrilova. It was my first time on court 18 this year. While i’ve been shocked with Petra and Venus both playing on this court, it’s a wonderful court to watch tennis on. I often go on the roof where you get a different perspective. It’s a nice place to get photos! It was a quality opening set – Gavrilova started well, going up an early break, but Cibulkova came fighting back from an error-strewn start. In a flat-out hitting match between the pair, I think Cibulkova wins every time. Gavrilova had to do something different and she did try, throwing in some drop shots, but the success rate wasn’t too high! She hit one magnificent crashing winner down-the-line that prompted a huge roar and big smile. She put pressure on Cibulkova when she served for the first set but the Slovak player was too good. Cibulkova won in the end, 6-3 6-2. There was an eventful moment on the roof as I witnessed a guy drop his phone over the railings – he was so lucky it landed on a platform just the other side and didn’t drop over! We then headed over to court 2 to watch some of Agnieszka Radwanska v Ana Konjuh. Never did I think it was going to end in such a dramatic finish. 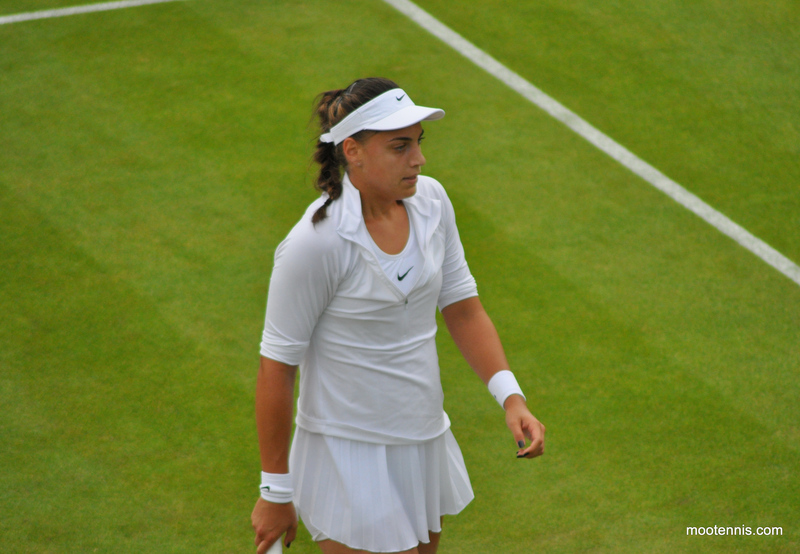 When we joined the match, Konjuh looked disengaged as Radwanska won the opening set, 6-2. The match began to turnaround though at the start of the second set when Konjuh saved five break points to hold to 2-2. In the next game, she broke to go ahead in the set. It was a quietly plucky showing from Konjuh who held her serve (and nerve) to win the second set, 6-4. The last two games of the set both went to deuce with Konjuh having to stave off a break point before deservedly forcing a decider on her fifth set point. It was a strange set from Radwanska who produced some uncharacteristic errors and became overwhelmed and quite passive up against Konjuh’s power game. Add to that, the Croatian player was playing Radwanska at her own game with some lovely feel at the net and decent drop shots. Konjuh went ahead in the third set and was unmovable on serve. Radwanska was not playing her game and getting bogged down into long rallies where Konjuh was surprisingly consistent and often coming up with the winner. Konjuh’s game is huge and the serve was especially accurate in this match. The drop shots were really good in the decider – Radwanska is normally onto them but Konjuh did remarkably well to win a handful of points this way. Konjuh stayed ahead and even worked up a match point up 5-3* on Radwanska’s serve. The world number three held to force Konjuh to serve it out. Konjuh had two more match points at *5-4 *40-15 – on the second of those, one of her shots clipped the top of the net and fell back over on her side of the net. It was a heartbreaker and the crowd was really getting into it. Radwanska escaped getting back to 5-5 but my feeling was that even though Konjuh was beginning to wobble, Radwanska wasn’t playing well enough to capitalise. Konjuh was still in the zone and broke again to go up *6-5. Serving for the match for the second time, Konjuh played a poor game and for the first time, made some really wild errors. 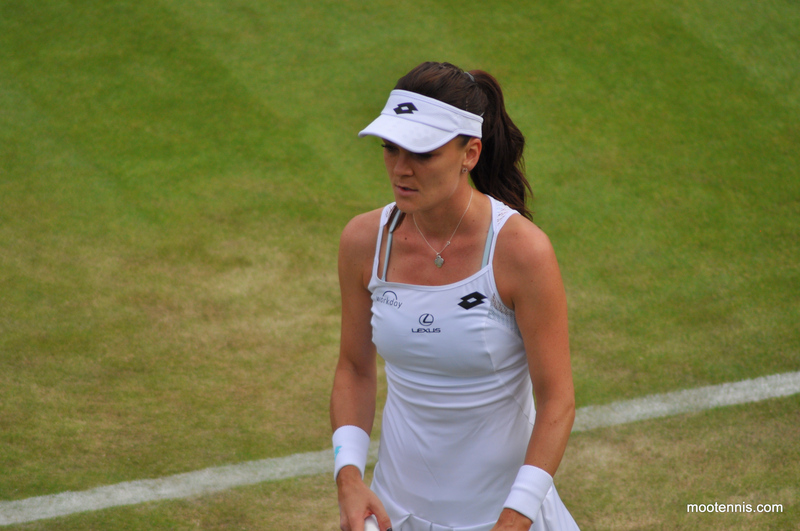 Radwanska broke back again and then held, serving much better. Konjuh then had to serve to stay in the match *6-7. She faced a match point in the process but produced some gutsy tennis to stay in it. I was really surprised as I expected Radwanska to take it there. The 27-year-old bounced her racquet at the end of that game which you don’t often see. With Radwanska up 7-7 *40-15, Konjuh chased a Radwanska ball into the net and unfortunately stepped on it, going over on her ankle and grinding to a halt by the umpire’s chair. It was absolutely horrible to witness live. Radwanska went over to try and help, and the trainer was immediately called. I could see through my camera lens that Konjuh was crying so I guessed it was bad. Twitter also confirmed this. I didn’t take any pictures of the fall as I just can’t take pictures of someone in distress like that. A few people started to leave the court as it was pretty late but most stayed to see the resumption of the match. Konjuh was hobbling around the court but she kept fighting and the crowd gave her a rapturous applause after one point she won. The crowd were murmuring after Radwanska hit one drop shot and Konjuh couldn’t run. It seems cruel but it’s sport… what is Aga supposed to do?! I didn’t have a problem with that at all. 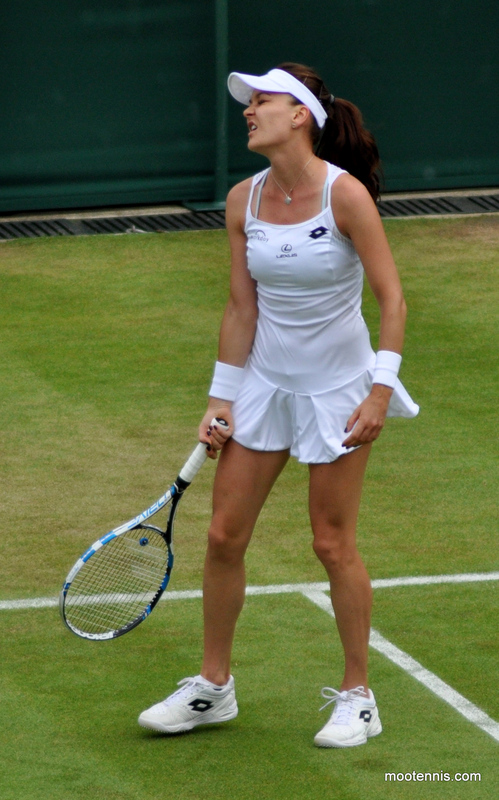 Radwanska eventually wrapped up the match winning, 6-2 4-6 9-7 in two hours and 36 minutes. It was nice to see Radwanska ask Konjuh how she was at the end but clearly, the 18-year-old was heartbroken. Three match points had eluded her and she picked up a bad injury too. She got a hugeeee applause from the crowd at the end but she just wanted to get off the court. I wish Ana all the best, she’s seems like a lovely girl and her game is on the money. Hopefully she won’t be out for too long but this looked a nasty injury. Hope you are ok @anakonjuh You played a great match. It was an amazing day with a very sad ending because Radwanska-Konjuh was a great match up until the unfortunate ending. 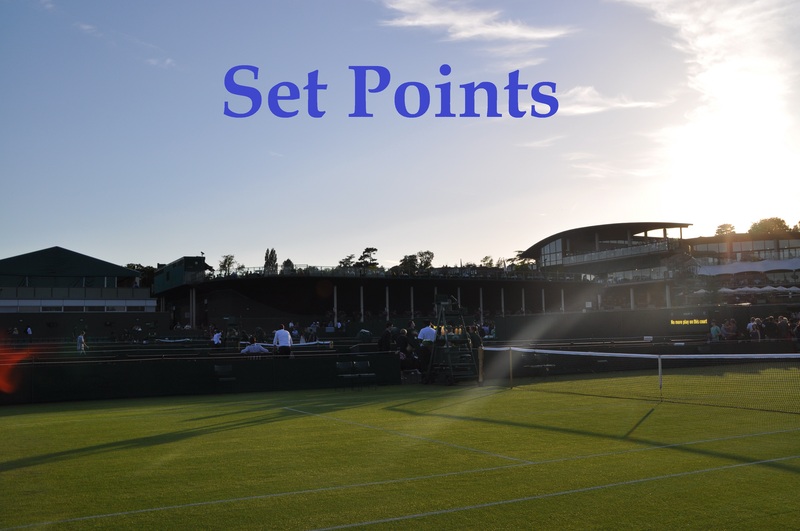 July 1, 2016 in ATP, Set Points, Tournament Report, Wimbledon, WTA. 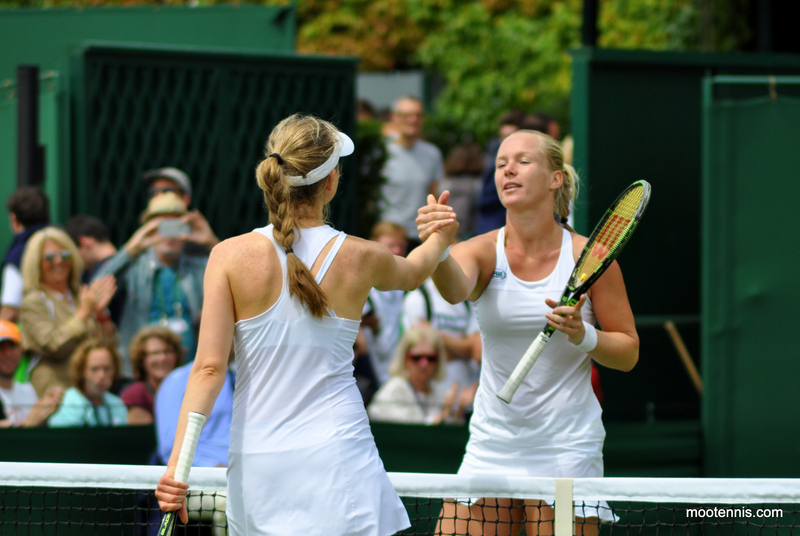 ← Set Points, Wimbledon Day 4: Watching my favourites live, Lucie and Timea win! I don’t understand why Aga is so well liked?! If Serena had acted the way Radwanska did, she’d be called a bully. There was zero concern or empathy shown at all when she fell. I know its a competition but still… The drop shot was cruel and really not called for since Konjuh was limping around, streaming with tears and barely getting balls back anyway. And she showed no warmth, credit or sympathy at the net either. She just about managed an ‘you ok?’ She likely only tweeted the youngster when her press manager pointed out she was behaving like a sour faced diva. This is why I tend to separate player’s personalities from the sport. No one player is bigger than the sport of tennis. I simply like her style of tennis. It is always a welcome change from the norm. She does seem personable offcourt but I cant honestly say that is always her demeanour. In this match though she was pushed hard and I am sure she was playing for survival at the end there. Mentally she was in fight mode, and probably didnot want to second guess the severity of Konjuhs injury or the lack thereof. I do like Ana, been following since juniors along with Bencic, and did feel gutted for her. It’s like that with Lisicki. People love her and her smiley face. But Im more into her tennis and sadly she disappoints me greatly. On the other hand, Maria seems to keep to herself, but I enjoy her fighting spirit and gutsy attitude sometimes. Thats just me. The important thing being despite her stature, her wealth or her person, tennis still goes on even whiles she is suspended, the sport being bigger than any one player. With Serena, I feel people have developed biases they dont ike to admit to concerning her person. Its just my opinion, but thats just what it is. I can enjoy her style of play but when people like Serena and Djokovic get such a hard time, it seems mighty unfair that Aga doesn’t when she’s had a number of incidents now that show her as unsporting. I dont have a problem with Aga’s drop shot. Opponent’s injury can affect your state of mind as well, Aga double faulted and wasnt winning any easy points despite Ana’s injury. She played the game and won. Also not everyone (Ana in this case) wants to talk to the opponent after losing, Aga initiated the conversation, Ana just nodded, this means that Ana was not really in a mood to talk (understandably), as a mature adult sometimes you have to give the other person some space, Ana didnt seem in a mood to talk much and Aga respected that. I would have done the same. However, I do agree that Aga’s handshakes need to improve when she loses. I’d agree about Aga’s handshakes after losses but then I’ve recently started playing tennis, just for fun, and I feel terrible after losing, it’s hard to give a good handshake when you are gutted! Those drive-by handshakes, 🙂 amuses me sometimes. Bouchard does it best, it’s like she’s thinking keep your sweaty palms to yourself. Putintseva gets a few of them understandably, I suppose Ostapenko might be the next regular recipient given her ‘popularity levels’ amongst her peers. I think it was Babs( of all people) who caught that slap drive-by from Svitolina and gave her a full on handshake in return. And recently, the exchange between Cornet and Maria at the net after that drama filled encounter at the French. It’s a bit of poor sportmanship though and should be called out. Lol James, I do not play tennis but I play table tennis for my university and otherwise, I once thrashed a very young kid in a USATT table tennis match something like 11-2 11-0 11-1, even after that loss the kid smiled and said “good match” and shook hands very warmly, he won me with that since I have never had such a warm handshake from an opponent whom I had beaten so badly, since then I have learned to be an adult and shake hands warmly and smile even though I have lost, once I did that 2-3 times I no longer feel sad/awkward after losing, just look at Lucie she never forgets to smile and be warm even after some horrible losses. Ahh that’s a nice story. And table tennis has actually been my sport to play too! The only one where I can occasionally beat my big brother haha. For the record, I always give a good handshake, win or lose! But I understand the feelings that goes through a players’ head when they lose and why they may not give a nice handshake. Lucie and Petko are two of the best at smiling and congratulating their opponent. Bouchard throws some real shade during handshakes and otherwise, I dont have words for those terrible looks she gives her opponents with that evil smile. I have mixed feelings about that dropshot too, though I’ve seen Angie Kerber (shock horror) do something similar in China last year when Garbi Muguruza was struggling to move around the court and Angie kept trying to pull her out wide (she still lost though). I suspect that most seasoned professionals would say as James did; that’s sport. 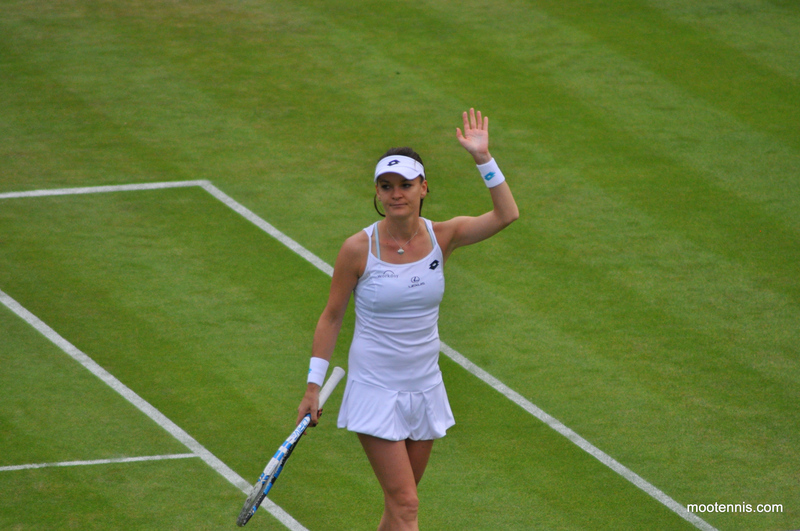 I love Aga’s tennis, at its best it’s wonderfully entertaining to watch. From what I’ve seen of her though I must admit there are other players I find more congenial as people, like Lucie S and Timi Bacs. I really thought that Aga was going out of Wimbledon against the hard hitting Konjuh and I think she deserves some credit for saving those match points even though her opponent made some bad shots. The incident with Konjuh becoming injured was horrible and I feel a lot of sympathy for her. I’m with James on the drop shot from Aga and I do not have a problem with it. Drop shots are a regular part of her game and it is something that she is good at so I see no need to stop them in this situation. She is very popular because of her style of play which is so entertaining to watch & I hope that she goes on to win Wimbledon. I was pleased with Aga’s fight. She usually gives up in such circumstances when the opponent is playing very good tennis. Ana was playing very good tennis, many times during the match I felt like besides hitting hard she was also beating Aga at her own game. I will give credit to Aga for hanging in there, some of the rallies were brutal and I was surprised how well Aga was defending against Ana’s ground strokes. I dont think anybody else on the tour could have ran like her and returned some of the balls that Aga did. I think Aga benefited from Ana’s injury but I also think that momentum was slowly turning towards Aga and it’s a possibility that she would have won either ways. Ana played very well, she was hitting hard, slicing dicing, doing drop shots, she was playing a very good all court game. I hope she continues the same way and doesnt disappear like many do after one or two good matches at slams. I hope Aga sees this match as a lesson and doesnt let her level drop against Siniakova. Sorry to hear that Margaret. I remember that she played Domi in the final in Sydney about three years ago, and Domi had a complete mare of a match for some reason and didn’t win a single game. She cut short her victory celebrations and began her winner’s speech to tell Domi she was sorry about the scoreline and that, bearing in mind how well she’d played in the tournament up until that point, Domi didn’t deserve it. I must admit I’ve thought kindly towards her since that. Notwithstanding that, I quite believe what you say. The impression I get of her is that when she isn’t playing, she’d rather be on her own somewhere with a book. I’ve seen Aga looking pretty glum on the practice courts but in recent year, I’ve actually seen some smiles! Oh dear, Margaret! I’ve actually become more of a fan this year. I never warmed to her but I have developed a real appreciation for her game this year. Kasatkina comes startlingly close to beating Venus- hope she takes the many positives away because there weren’t many negatives really. Serena plays another sluggish match with sloppy footwork and nearly loses. Djokovic down 2 sets to love and saved by a rain delay. Kvitova loses first set to Kate. 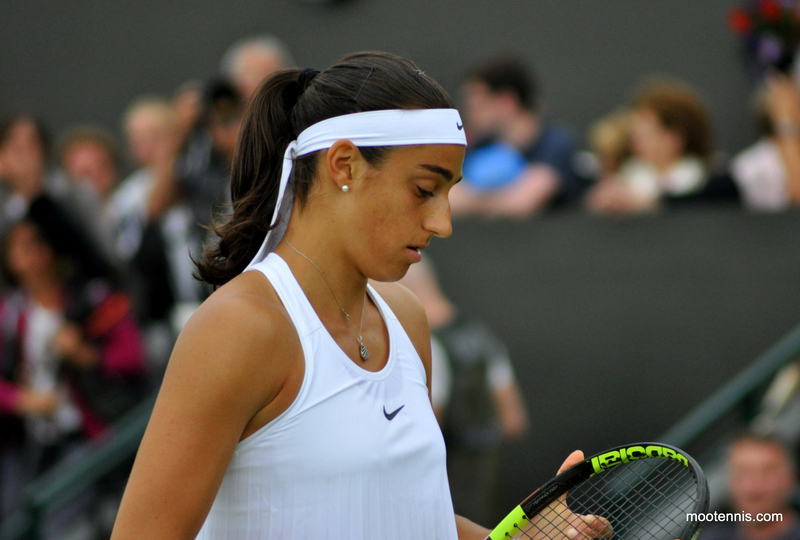 Agree, nerves have been an issue for Daria but it was another match where there was so much good to take away from it. I feel like all of her tight losses have been like that and I’m certain one of these matches will go her way soon.